Mark Knopfler's latest effort...anybody get it yet? "Down the Road Wherever"...gave it a listen last night. Yet another well recorded release and while I still prefer Tracker to this one, it will still get many rotations at our house. More wind instruments in this one that any album he's done(to the best of my memory). I like it when an artist doesn't get stuck on the same road too long. Got it love it, been in the truck for over a week. I agree another well recorded, offering from Mr Knopfler. I like it the best from all the 2018 releases so far. Got it a few weeks ago, excellent recording. 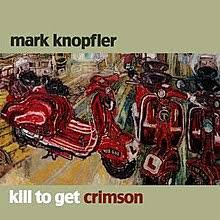 I love Mark Knopfler and think this album is a good example of why. I'll have to check it out. Hopefully its got some demo-worthy tracks. Shangri-La is still a favorite of mine and I'm not sure why. 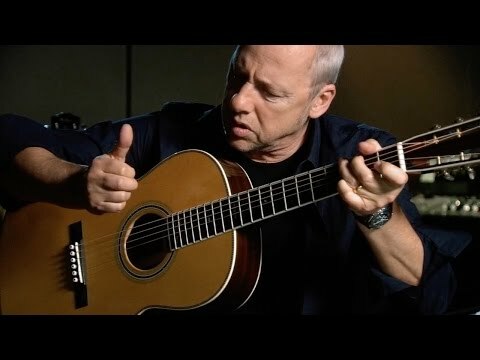 I'm not huge into Mr. Knopfler but I do like his stuff. Shangri-La is one of my go-to demo albums. Got the new one and still in the break-in period. I usually listen to a new Knopfler album several dozen times before I comment on it. I will say the recording quality is superb as usual. Has anybody compared any of his albums cd-vs-vinyl? I always use his music when selling speakers I do not want anymore. Reference material for the audition. It’s magical. Listening now and really enjoying. Six cuts in, I think this is one of my favorite of his solo albums - although there are a few I haven't listened to all the way through. It's on my favorites list in TIDAL. I like it a lot. I've got it on order. Sounds like I've got some listening to do. Honestly, I haven't ventured too far from his work with Dire Straits Side two of 'Brothers in Arms' is one of my favorite album sides ever. My copy arrived today. 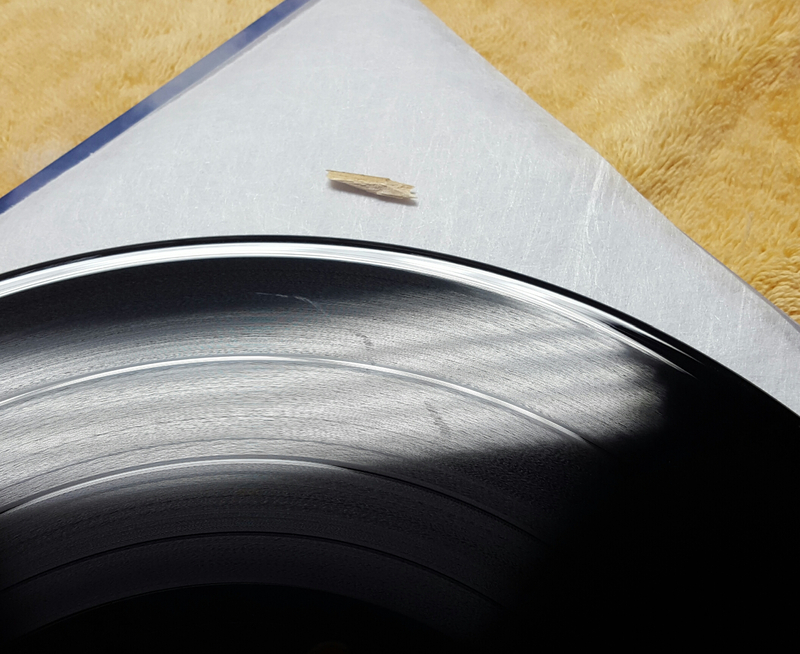 Cleaned the first record, go to pull out the second and find a piece of wood inside the sleeve, which has been rubbing on the record......not good! This one is going back. Bummer chunk of wood eh not good. Did you at least listen to the first good one before returning, if so what how did you like it? I got a Todd Rundgren live in Atlanta double LP that had the same LP twice that I had to return. Unfrickinbelievable. Send that photo to Knopfler’s peeps and maybe you’ll get a free pair of $200 concert tickets. Just bought the 2 LP version from Walmart for $18.53 with free 2 day shipping (on orders over $35). Let's hope it doesn't arrive shaped like a taco. I just ordered Cds of "Shangri La" and "Down the Road Wherever" just now from eBay after the Cowboys / Sea hawks game. Can't wait. Not that you will see this until I'm let out of polk prison, which I'm in for a completely unjustified reason. I'm still waiting for the replacement.......ugh. Ha! I just ordered the same two CD's plus "Tracker" off Amazon Sunday morning after glancing over this topic and got a chance to listen for a couple hours last night. Something about "Long Cool Girl" from 2015's Tracker had me on repeat several times. My daughter asked me if Dire Straits had a new album, not bad for a 12-year-old. Always loved DS, glad to get back into a little Mark Knopfler, planning to revisit at elevated volume levels tonight. 2 more to order then. All of Knopfler's solo stuff is good. From his first one "Golden Heart" and even "Notting Hillbillies" and the "Neck to Neck" with Chet Atkins. "Privateering" is a really good album however. Listening to it now. He has spiced up his usual song recipe with some new sounds including horns. Well recorded. So far I am liking it. Sonicaly it's a very good recording, as are most of his works. Kill To Get Crimson is also very much worth a listen. Seems to be an overlooked album, but, it's become one of my favorites. Brother in law was over the other weekend, put on Knopfler's newest for listen. He asked if all I play is Knopfler and can I change it.....pissed me off. Hey, I get that about Bob Dylan all the time. Excellent album, in my heavy rotation. Funny you say that, that's what I put on instead Blood on the Tracks SACD....sweet. Did you pick up the latest official Bootleg Series “More Blood More Tracks” yet? It’s basically the NY tapes that preceded the Minneapolis re-recordings that were selected for BOTT. The Bootleg tapes are excellent versions, many songs with just Dylan on guitar, harmonica and maybe a bass player. On Tracker, Long Cool Girl and River Towns are my repeats. ^^^ Great cuts! (I like Ruth Moody a lot, and her harmonies with Knopfler are top shelf.) I find with Knopfler's stuff that as I listen to it more, I begin to appreciate some of the songs that I passed on earlier. Same with Dylan's more recent stuff. For instance, I have also always liked "Lights of Taormina" on Tracker but over time I began to also really like "Mighty Man" and "Basil" a lot, and others. I use Shangri-La SACD as a reference CD and same with that: I have always loved "Donegan's Gone" and "Back To Tupelo" and "Our Shangri-La" but after many listens I also become enamored with some other songs that didn't really flip my switch initially. I remember getting Neck to Neck at the close out rack and after one play I put it away for a long time. Finally, I pulled it out again and played it and couldn't believe I didn't really like it right away. BTW, this morning I saw a video for "Romeo and Juliet" that Mark did for a BBC special in 1996. Frickin' breathtaking. See if you can find that, I saw it on FB but they must've pulled it off You Tube.